Born and raised in Asheville, NC, Nicole graduated from UNC - Asheville, the first woman in her family to graduate college, and moved to Boston in 2008. In 2017, she joined Continuum as a member of the Product Management team. During that time she worked in Partner Success and now the larger Go to Market team, which is comprised of Partner Success, Sales, and Marketing. 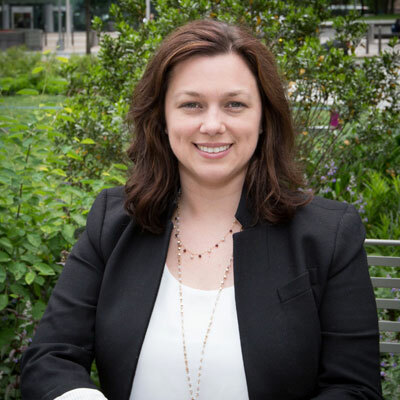 At Continuum, Nicole has lead various strategic initiatives and programs including acquisition integration, new product launches, client engagement optimization, partner journey improvements, implementation of business systems and voice of the customer programs such as NPS surveys, voice of the partner, and advisory councils. Over the past year, Nicole has created and developed various North American and International Advisory Councils, provided thought leadership to MSP Partners focused on Client Engagement and Management via blogs, webinars, and presentations, and developed Continuum's Risk Program which aims to identify, escalate, and provide solutions to partner risks. She has also led strategic initiatives to implement business processes for Continuum, which help the company better support its partners and their needs, and expanded Continuum's Voice of the Partner programs whereby partner facing teams provide insight to leadership throughout the year. Throughout the next year, Nicole and her team will continue to enable IT service providers to be the best in the business, empowering them with the tools and resources required to reshape how they deliver IT services. Nicole will look to build on the momentum of Continuum's channel business by continuing to make the success of partners her first priority and ensuring the voice of the partner community is incorporated into the company's decision-making process on everything from its product roadmap, service development and training initiatives. Nicole was most recently promoted to Director, GTM Projects & Programs, following two years of outstanding contributions to the business focused on deepening Continuum's practices in Partner Success, Voice of the Customer, and Client Experience Management Optimization. She also led one of Continuum's highest-performing blog series, "MSP Client Onboarding: Optimizing for Retention and Growth." Malala Yousafzai. "I raise up my voice not, so I can shout, but so that those without a voice can be heard." This quote from Malala illustrates why I admire her. At such a young age she has been courageous, thoughtful, and powerful in her activism for human rights and advocacy for education of women around the world. She reminds me to live life full of hope and inspires me to be more courageous and active in advancing causes I find important. Other than the fact that 80s perms and big hair weren't that cute? Don't ever be afraid to shine! If you find things in life where you excel and enjoy yourself while doing it, then maximize those opportunities to the fullest without fear of blinding those around you. I would love to master being a more proactive mentor. We often find ourselves down in the trenches of the day to day of our work and careers but, I think it is highly important to take time to provide advice, guidance, and also learn from mentorship opportunities. I am an avid reader and use books as a stress release. My favorite genre is mystery/thriller! A good one I have recently read is "Sharp Objects" by Gillian Flynn. I liked it because I didn't see the ending coming at all. I love a good twist at the end!